The year 1943 was an eventful one for many reasons. Colossus, the first electric programmable computer was first demonstrated that year; Earnest Hemingway’s For Whom the Bells Toll was adapted into an award-winning movie; and everybody’s favourite Tex-Mex snack nachos were invented. But in the East in the same year, the Bengal province of India to be specific, two to three million people died of starvation, malnutrition, communicable diseases and displacement brought about due to a famine. They called it the Bengal Famine of 1943, one of the worst in the annals of human history. The disaster was said to have been caused by a drought. But 76 years later, a study by an IIT research has vindicated what historians have believed all along – that it was completely manmade. And one of the greatest historical leaders of all times, the then British Prime Minister Winston Churchill, may have orchestrated the “genocide”, possibly fuelled by his Indophobia. The largely agrarian economy of the Bengal province produced mostly rice, which was also the biggest staple food of the Bengalis. A shortage of rice was mainly blamed for the famine but that was far from the truth. In a study published in Geophysical Research Letters, led by Indian and American researchers, studied the soil conditions during the six major famines in India. It concluded that all but one was caused by a deficit of moisture, an indication of the amount of rainfall received. Researchers found that in 1943, the precipitation was above normal between June and September. With drought out of the picture, the research findings have forced Churchill apologists to reckon with truth; the famine was caused by the British great’s wartime policies. Certain factors such as the 1942 cyclone, paranoia about a Japanese invasion and the resultant scorched earth policy in Bengal (burning of grains to starve the enemy), and the Japanese invasion of nearby Burma affected the cost of rice in the region. From Rs 13 kilo per maund (37.5 kilos) in 1943, the price of rice shot to Rs 105 in 1943. The situation was worsened after the wages of the male agricultural labourers fell. A Famine Inquiry Commission investigated the matter and found out that while the stocks of rice were low, it wasn’t low enough to cause a famine. In fact, the availability of rice was higher in 1943 than in 1941. But instead of feeding it to the starving indigenous people who produced it, Britain heavily imported the rice to supply it to their army men who were fighting during World War II. According to historian Madhushree Mukherjee, 70,000 tons of rice were exported between January and July of 1943 when Indians were dying by the thousands. Japan and Britain were at war during World War II. So when Japan occupied neighbouring Burma, the British grew paranoid about its proximity to India. With the enemy at the doorsteps, the British found a rather questionable way to stop the Japanese army from coming any further. Churchill directed the “scorched earth policy” where food grains and supplies that could be used by the enemies were burnt. In coastal Bengal, where the British feared the Japanese would arrive, authorities burnt the rice stocks when the Bengali people were dying of hunger. The vessels and boats which could be used to transport and import rice from Burma were blocked by the British government as part of their plan to deprive the Japanese army. Due to the denial policy, Bengal couldn’t plug the rice shortage to feed its people since the province couldn’t import from Burma. Adding to the woes of the people was the mismanagement on the part of the British government. During the famine, the food shortage could have been compensated by trade from other states. But the central government during 1943 had prohibited trade between states. 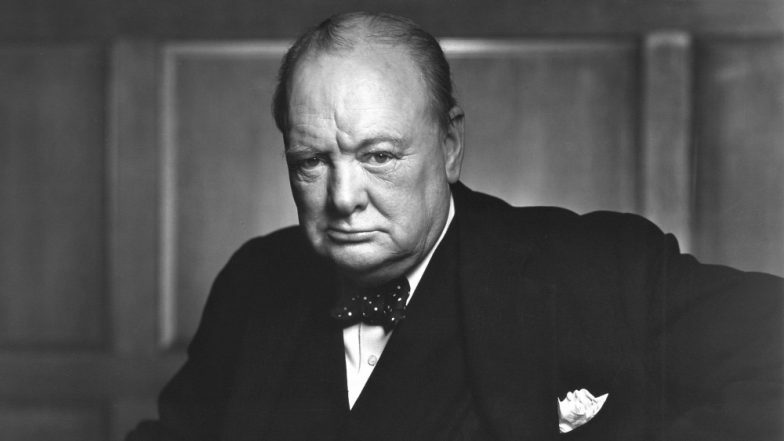 Churchill is hailed as the greatest National hero of Britain, the one who saved Europe by stopping Hitler in his tracks. While he was the poster child of fascism, there are plenty of accounts that suggest Churchill was a bigot. From a very young age, the British leader was brought up on ideas of white supremacy and that the primitive, aboriginals were meant to be ruled by the whites. When it came to choosing between starving Indians and inconveniencing his countrymen, Churchill chose the latter. Madhushree Mukherjee in her book Churchill's Secret War: The British Empire and the Ravaging of India during World War II states that it was “not so much racism as the imbalance of power inherent in the social Darwinian pyramid” that prompted the British under Churchill to deny food to Indians. Instead of making the English suffer, the government chose Indians to bear the brunt of the famine. It was believed that famine could be tolerated by the Indians. But the British couldn’t tolerate food rationing during the war. The Bengal Famine of 1943 not only points towards one man’s callousness and bigotry but also debunks the notion that the colonisers wanted the best for the natives. The study is a slap in the face of many who still defend Churchill’s legacy as a great national hero, absolving him from his role in orchestrating the covert genocide.